It has been a busy year for the Society with active campaigns being run for the pools, trains and Tyson Road. Some of these have been more successful than others, but my thanks goes to all those who have volunteered their time, expertise and support. This year has seen various improvements to the Town Centres, with a new footbridge and lifts at the station, four new coffee shops, repairs to the pavements, removal of some railings and the introduction of two hours' free parking in the Pearcefield Avenue car park as well as the extension of the Conservation Area (with stronger enforcement powers) and the arrival of the new London Overground service, which seems to have improved capacity and many people's commute. 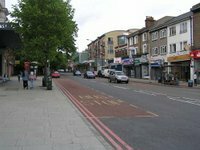 After eight months of correspondence, we finally managed to arrange a meeting with TfL London Streets – the agency responsible for the South Circular – to discuss improvements that could be made in both the short and long term. This meeting was also attended by Jim Dowd MP, Deputy Mayor Allan Smith, local councillors and Peter Kalton from LOROL. We will be following up on this to make sure that changes are implemented. We also managed to persuade TfL to allow the planting of the planters outside the station. Our thanks must go to Shannon's Garden Centre who have generously donated their time, expertise and plants. The Environment Committee also supported FHTA in the removal of many wheelie and commercial bins from the pavements which has generally improved the ambience. Many successful events have been organised by the various committees, including those run by the 23 Club (especially the Burns Night supper), a trip to Brogdale to see the apple blossom, the May Day celebration on Albion Millenium Green, a picnic on the South Circular, Open House at Louise House as well as our first stall at the Forest Hill Day. My thanks to all those who baked cakes and staffed the stalls at Forest Hill Day and Blythe Hill Fields. 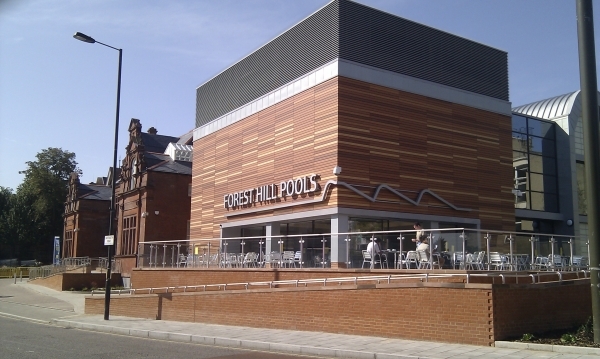 Looking forwards to the next year, our priorities will be the pools development, effecting change in Forest Hill Town Centre, revitalising the underpass and improving the environment. I am excited to welcome some of the new members who have expressed a desire to join the Executive. We also need to do a better job at promoting ourselves and increasing our membership numbers. If we are not responding to your needs, we need to know. It is up to all of us to encourage our friends and neighbours to join so that we can more fairly represent the views of our community. The Executive Committee has met formally on seven occasions this year, although there has been extensive communication and correspondence between meetings.